A Gift for Readers Everywhere! 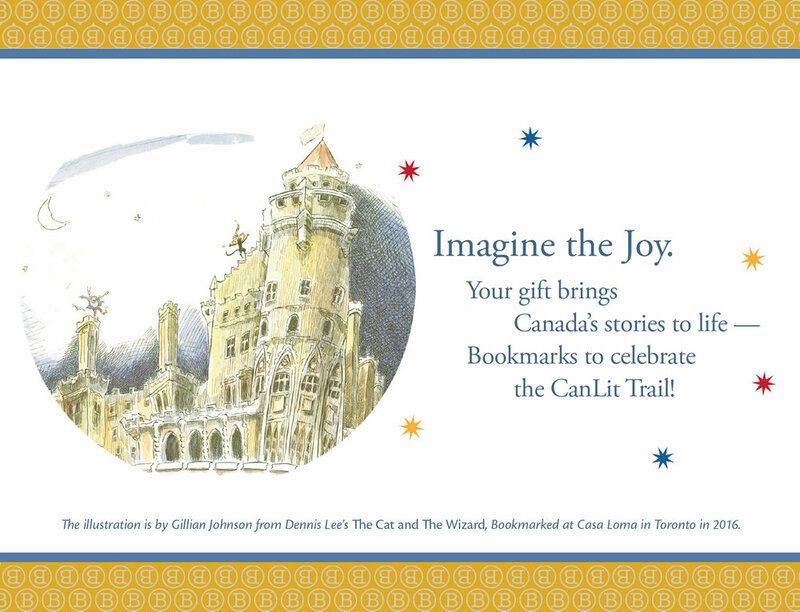 Project Bookmark Canada brings Canadian stories to life, with Bookmarks placed in the exact locations where literary scenes are set. For readers, everywhere — on land and online! A little goes a long way to support our work! Donors are publicly recognized and charitable receipts are provided for donations over $50. For gift donations, we will recognize your special someone here, and send them a beautiful card of acknowledgement.